Founded in 1992 in Diomondi, in the heart of the Ribeira Sacra, this family-run winery took on the ambitious goal of maintaining the local winemaking traditions of the area. The family has immense commitment to developing not only the best wines they can but also developing a healthy environment for plant and human alike. With four hectares under vine divided into small terraced plots on steep slopes (50-75%) and armed with the most modern technologies available, averaging in age between 25-80 years, they must selectively hand-harvest each varietal - Mencia, Albarino, Godello and Treixadura - only choosing the best grapes. 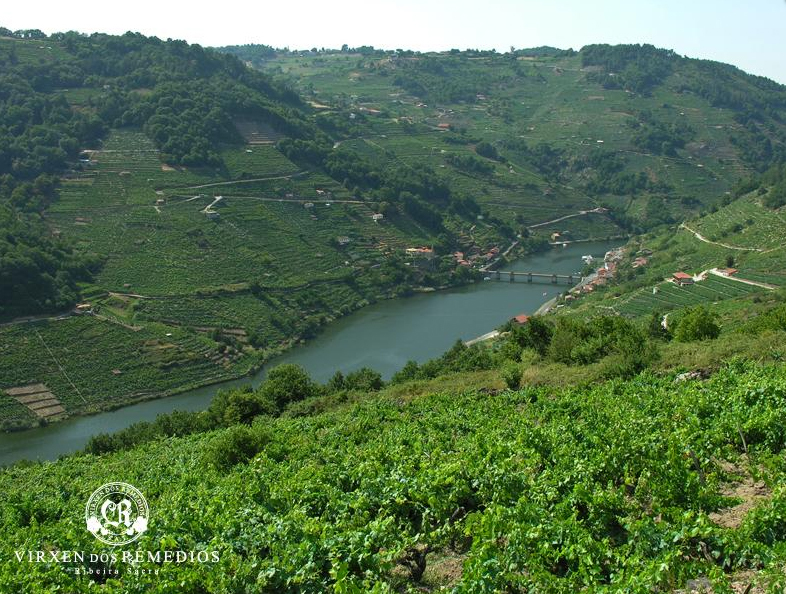 Julio Ponce Mourino is the lead oenologist and crafts true expression of this rugged terrain. From 25-80 year-old vines grown on shallow sandy schist/slate soils within 4 hectares spread across small terraced plots on steep inclines of 50%-70%, manual harvesting is required and occurs in mid-late September; maceration lasts 3-4 weeks, fermentation is temperature controlled and takes places in stainless steel with natural yeasts and pumping-over occurring twice daily. From 25 year-old vines grown on the same soils as the Mencia, within 4 hectares spread across small terraced plots on steep inclines of 50%-70%, manual harvesting is required and occurs in mid-late September; fermentation is temperature controlled and takes places in stainless steel with four months of lees contact.